In the City of Doniphan, community members enjoy access to public spaces and facilities for family gatherings and events, a parks program with baseball, softball and soccer leagues, and a public library with wireless hot spots and public internet computers. Doniphan's downtown Heritage Park was developed from a block of blighted buildings into a community park by local non profit Doniphan Neighborhood Assistance Program (DNAP). 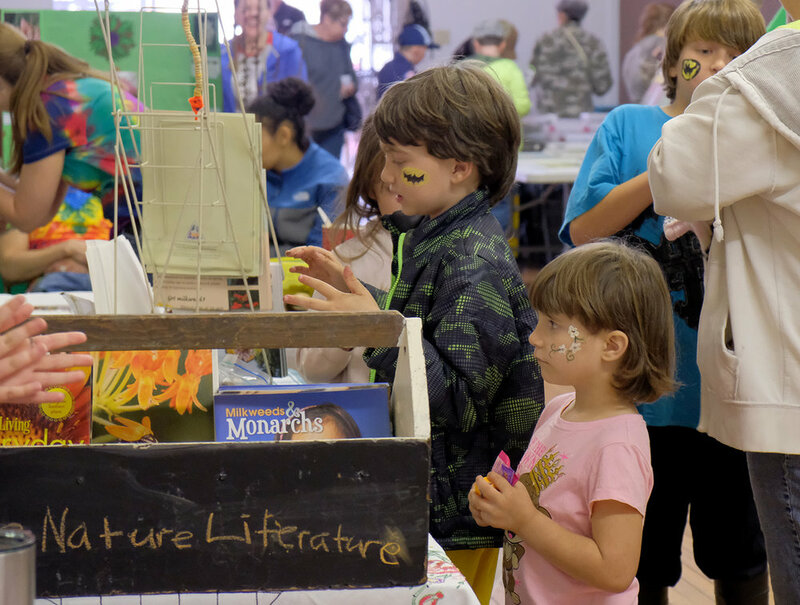 Throughout the summer, community events in the park are organized by the City of Doniphan, Ozark Vitality, Riverside Art Guild, Cruisin' the Park, Music in the Park, and others. For a full list of community events in Doniphan, visit Fun in Doniphan. Free WiFi hotspot in the park provided by Boycom. Located at 105 Washington Street in downtown Doniphan, the Community Center is available for meetings or events needing space for up to to 75 people. The space includes a kitchen area, stage and PA system and is perfect for parties, reunions, business meetings and receptions. Stop in the Heritage Museum or call 573.996.5298 for more information or to book your event. Free WiFi hotspot in the community center provided by Boycom. Currently, there are two libraries in Ripley County, the main library in Doniphan and the branch library in Naylor. Both libraries have public internet computers and wireless hotspots. 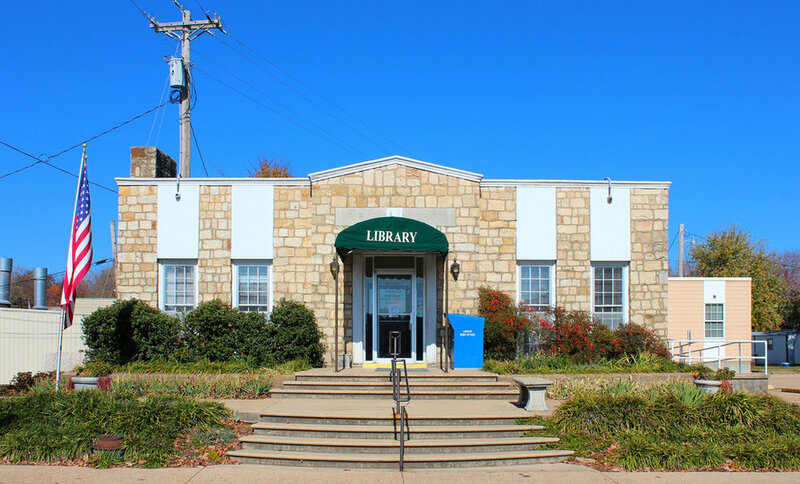 They participate in Missouri Evergreen which allows users to borrow books from many different libraries in Missouri as well as through Inter Library Loan. Doniphan was established as a village April 26, 1847 and has served Ripley County as county seat since that time. Doniphan became classified as a Fourth Class City May 1, 1891. The form of government is Mayor and Alderman. A Mayor is elected to preside over a four member Board of Aldermen, all of whom serve in staggered terms for two years. The municipal election is held in April of each year. Also elected is a City Collector and City Marshall (Chief of Police). The Mayor is the Chief Executive Officer of the City who appoints, subject to board approval, all other non-elected officers of the City except police officers who are appointed by the City Marshall. The City Clerk, elected by the Board of Aldermen, is the budget officer of the City and handles most of the administrative affairs of city government. The City operates a municipal water and sewer system and provides local law enforcement and fire protection services. The City also operates a summer park program and a fall soccer program. Note: City Hall and police department headquarters were damaged in the 2017 flooding and are currently located in temporary facilities. As of August 1, 2017, City Hall has temporarily moved into trailers at the corner of Grand Avenue and Young Street. The police department has moved into the street shed next door to the former City Hall building at 124 Jefferson Street. City council meets on the first Tuesday of each month at 6 pm, and on the third Tuesday of the month at 9 am. Until further notice, meetings will be held at the Doniphan Community Center at 105 Washington Street, Doniphan, MO. Everyone is welcome to attend. The Ripley County Ambulance District is a tax supported special district covering all but the southeastern corner of Ripley County, including Doniphan. It is governed by a six member Board of Directors elected in staggered three year terms. The Board of Directors meets on the third Monday of each month at 7:00 p.m. at the District Office at 1003 Walnut Street in Doniphan, Missouri. The Board sets District policy and manages the staff through its appointed Director of Emergency Services. The Ambulance District provides a tax supported base for Advanced Life Support Emergency Services to the citizens of the District. Dispatching services are provided by the City of Doniphan. The service runs three modern advanced life support emergency vehicles with round the clock staffing by fully licensed paramedics who can transport patients to any of our local or regional hospitals or health care facilities.